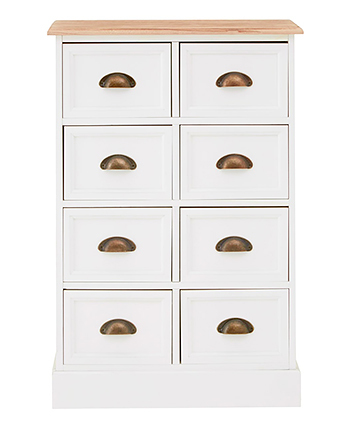 The Connecticut white chest of .eight drawers. 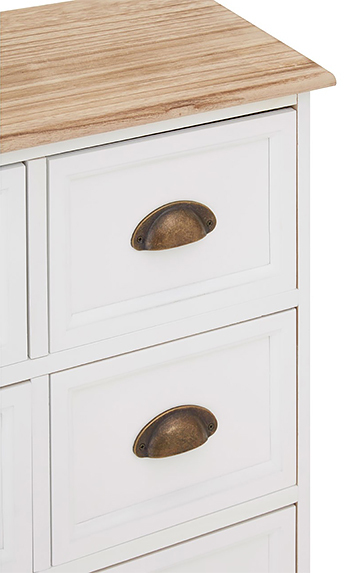 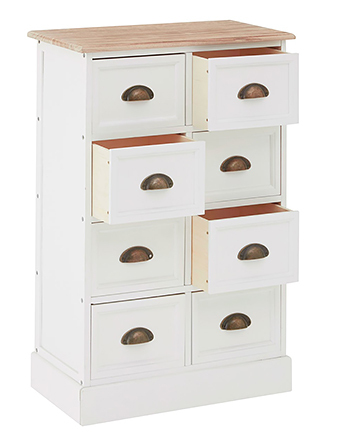 The Connecticut is a white range of storage furniture with a natural coloured top and weathered iron pull handles. 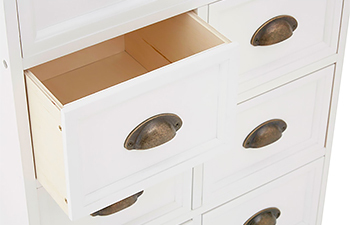 With the natural colours, simple straight lines and bevelled drawer fronts the chests are designed to suit all styles of interiors from country to coastal and modern to mimalistic. 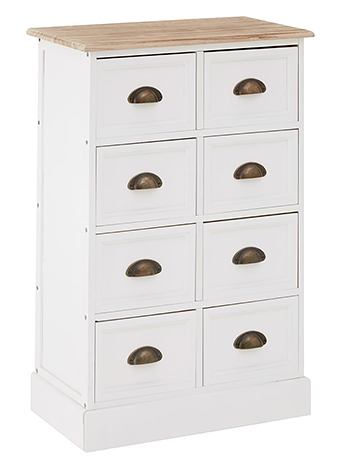 Available in two different sizes, The Connecticut white furniture makes perfect storage for all rooms in your home including the bedroom, bathroom, hallway and living room.